Build a new model for achieving health? There is hope. Just who is fixing the healthcare system? That’s the question I asked at the end of last week’s blog when I discussed having empathy for our doctors, who must work in a broken system. So, who is trying to make it better? Apparently not our governments who, despite sometimes-good intentions, become bogged down in bureaucracy. And not conventional medical channels, through which it takes 17 years for new information to make it into clinical practice. In a limited way, we can contribute to making things better by keeping ourselves as healthy as possible so as not to over-use the system. We don’t have to ask permission or medical sanction to eat fresh food, plant a garden, think differently about our stress, take probiotics, get a pet, meet new people, move our bodies, improve the quality of our sleep, and be of service to others. There are some doctors taking steps to help their colleagues avoid burnout and suicide, both of which occur at very high levels among doctors. Daniel Friedland MD offers conscious leadership training to help health professionals gain resilience so they aren’t broken by the system while working in it. Pamela Wible MD is modelling and teaching a revolutionary practice which features a humanized experience and an integrative approach that includes non-drug therapies. The intriguing thing is, she designed her practice, including her office, based on what patients told her they wanted in an ideal medical practice. She actually held a town meeting to share her frustrations at not being able to be the kind of doctor she wanted to be. She listened as they described what would make the experience better for them. Then she incorporated about 90% of what they said to provide ideal medical care for her patients. As Dr. Wible describes in episode 43 of The Doctor Paradox podcast, her office is like a studio apartment, complete with a couch, wicker chair, and a bathroom. There is an examination room, but it’s not usually needed because she finds out most of what she needs by making eye contact and engaging in thoughtful conversation with each patient to discover what is really going on. Appointments are 30-60 minutes long and she starts each one on time. When you spend long enough in the company of the practitioners in our community, and you listen to their stories of health transformation, it always makes me think… how do we deliver this care to everyone? Not just every American, but everyone on the planet. Chronic disease is everywhere now, and it’s time to start thinking in those terms. Many challenges exist now that prevent this approach to healthcare from making its real impact. – There aren’t enough practitioners who practice Integrative or Functional Medicine. – Those practitioners don’t have a scaled business model that can reach all of the people who are suffering from chronic illness in their community. – Health consumers aren’t adequately educated as to the availability of Integrative and Functional practitioners or proactive ways to create health. In 2015, James Maskell gave a TED talk in support of Guernsey’s mission to become the healthiest place in the world. Among other things, he encouraged the 65,000 Guerns to drink wine, get dirty, and meet people. Becoming the next Blue Zone is a major undertaking. From Maskell’s perspective, change comes from building a new model that makes the old one obsolete. That’s his passion. The basis of the new model is that community, not medicine, creates health. He discusses what we’ve learned about exceptional health from Blue Zones, Roseto, and The Daniel Plan; how microbes are part of our community; and how the Cleveland Clinic is leading the way—in a big way–in practising functional medicine. On June 30, 2017 a one-day health conference was held in Guernsey. “Journey To 100” explored options for a sustainable approach to healthcare and longevity. 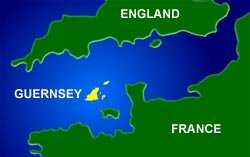 This marks the beginning of Guernsey’s quest to become the first country with a life expectancy of 100. Here’s how the website describes this event. …hear the latest positive aging research, learn from global health experts, and understand the big picture—how we can live healthier lives for longer. The event will bring together 20 international speakers to share the research, ideas and strategies on a wide range of factors that impact healthy aging. Find out more about “Journey to 100” and read bios of the featured speakers. Listen to the speakers on YouTube. This entry was posted in Mindset, Viewpoints & Thinking for Ourselves, Possibility Thinking, All Posts—newest first and tagged evolution of medicine, Dr. Pamela Wible, Dr. Daniel Friedland, James Maskell, fixing healthcare, broken health system, Blue Zones, Guernsey, community, Roseto Pennsylvania, The Daniel Plan, Cleveland Clinic, Journey to 100, longevity conference by Laurana Rayne. Bookmark the permalink. A reader asked me if I’d read “the book that was set in Guernsey.” I had, but neither of us could remember the name although we’d both enjoyed it. She looked it up and sent me the link, which I’m pleased to share here. No wonder we didn’t remember the name, and thank heavens for Google. It is The Guernsey Literary and Potato Peel Pie Society Thanks Diane!